2020 Imaging, an Indian startup that has created Smart City application– a software platform for India’s Smart Cities mission has been awarded as the “Most Innovative Product of the Year in Security for Software” at Secona Shield awards 2016. 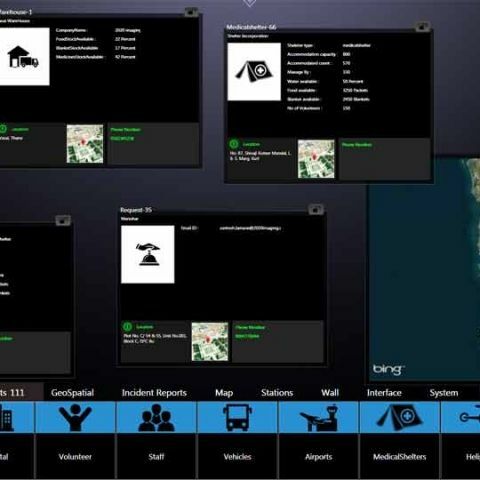 The software platform by 2020 imaging was launched at Secutech 2016 and enables cities and governments to act proactively to situations by being able to bring together devices, systems, departments, resources, and citizens. UCLA researcher's breakthrough in encryption by "software obfuscation"
How often have we seen roads being dug up over and over by different departments of the city management? How often have we lost lives to disasters because we were not able to either respond on time or manage the recovery well? How often have we wished we had an emergency response triggered through our phone, even without dialing any number? How often have we wanted to click a picture of a hanging wire and send it to someone who would mysteriously resolve it in quick time? How often have we felt the need to match, say a measure like poverty in an area to crime rates? This Indian startup has created a technology platform working with universities in the UK that does exactly these. 2020 Imaging’s Smart City application was launched at Secutech 2016, a global event that has been empowering India with Smart, Safe and Secure technologies. The application enables cities and governments to act proactively to any situation. By being able to bring together devices, systems, departments, resources and citizens – all under one single window, 2020 Imaging aims to take India’s cities even ahead of some of the best smart cities across the world. The company has developed its smart city application based on its cutting-edge software platform, the I3OP (Intuitive, Intelligent and Integrated Operative Platform). Benchmarking against ISO 37120:2014 standard, it indexes 100 different indicators covering 28 themes such as Economy, Education, Energy, Environment, Finance, Fire & Emergency Response, Governance, Health, Recreation, Safety, Shelter, Solid Waste, Telecom & Innovation, Transportation, Urban Planning, Water and Sanitation. During disasters, it doubles up as a disaster management application connecting emergency resources, volunteers, donations, relief vehicles, supplies and rehabilitation centres, with real time information from the field. How is 2020 Imaging different? 2020 provides a single window alert management of all devices, systems and resources over a map-enabled rendering for quick, intuitive actions. The application differentiates itself with its ability to contextually marry different data sources and help end users visualize them in a manner that enables reduced reaction time to situations. With fully customizable SOPs (Standard Operating Procedures) and an alert handling infrastructure based on CAP (Common Alerting Protocol) standards, the application brings both standardization and customization together, a rarity in software applications. Let us say a political group is planning a protest at 5 pm without prior permission. The application will automatically sense an unrest through integrated social media crawling applications. The application will detect building traffic leading to the location, along with growing crowd around the location. Once correlated, the application will throw an alert and coordinate the efforts of multiple departments – in this case traffic department, police department, fire department and if needed, it can even keep an ambulance in standby mode. It can further intimate citizens on their mobile phones to avoid the location and can increase, for example, the bus frequency to move people out of the location. 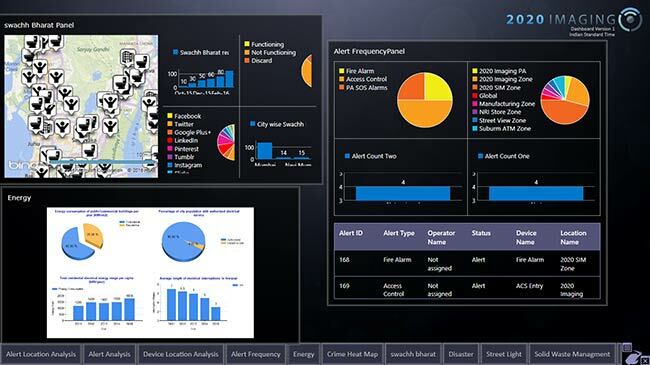 Finally, it helps store the resolution steps through its multimedia enabled incident reporting infrastructure which eventually becomes part of a city-wide dashboard that does trending and pattern analysis.